Do you like to be active on the water? 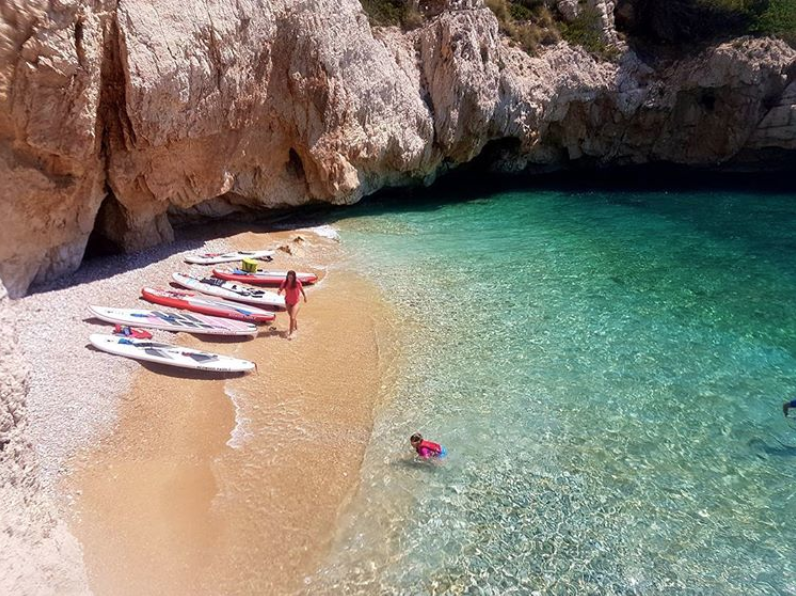 SUP (Stand Up Paddling) is a perfect experience to combine teamwork, health and nature: you discover beautiful natural secluded spots (like caves) of the Spanish coast, while you are exercising, guided by our experienced SUP-experts. Want to turn it into true teambuilding? Try our XXL-SUP. It is about 6 meters length and it can be used up to 10 people on one board. An ideal option for your group activities. Do you feel like organizing something different? Ask our team for the possibilities of SUP yoga, organize drinks at sunset while supping, skim boarding, a lunch or picknick during the activity, surf lessons... Please ask our team. The sky is the limit! Experienced or not-experienced with SUPPING, it's a great adventure for everyone. Bring your towel, sunscreen and bathing suite and the rest will be taken care of! The Costa Experiences team will guide you to the location of the start of the SUP activity. After a briefing of the instructor, you will go into the water and will be guided to hidden spots and small bays of the Spanish coast. After snorkeling and swimming, we will have a picnic of fruits and water to recharge batteries and discover amazing views of other cliffs. Do you feel like adjusting the tour or to organize something different? Ask our team for the possibilities of SUP yoga, organize drinks at sunset while supping, skim boarding, a lunch or picknick during the activity, surf lessons... ask our team. The sky is the limit! Departure or changes of the excursion will depend on the weather conditions of the day. Inform the Costa Experiences team if people do not have a swim diploma: the instructor will take extra care of these persons and will need to use a swim vest. Incl. 2018 Costa Experiences. All rights reserved.